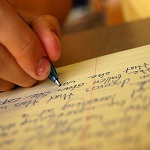 Essay writing is an important skill that helps college students get better grades. During any given semester, your professor may require you to write a variety of essays on a plethora of topics. There are explanatory essays, narrative essays, argumentative essays, and more. Although you need to put in effort to write any type of essay, you may have to push yourself hard to write a cause a cause-and-effect essay. In cause-and-effect essays, you have to select the topic with extreme care. The whole essay talks about the rationale behind an issue and then explores the outcomes. In other words, the essay first discusses exactly why different things happen and then delves into the details regarding what happens as a result. To make this essay work, you need to ensure that you maintain a professional tone throughout the essay. At the same time, you need to conduct thorough research to keep the presentation factual. To find out if you have done justice to the task assigned, your professor will see how convincingly you have managed to present the information. In order to produce high-quality cause-and-effect essays, pay attention to the following points. Make sure you read extensively about your topic. It is impossible to convince others if you don't know your topic well. Convince yourself before proceeding further with your essay. Don't use a first person pronoun while writing. Use statements that ensure your point is as forceful as possible. Introduce your topic in your opening paragraph. You have to present your idea using the words "cause" and "effect," but make sure that you make generic statements to link the two. To write convincingly, you need to lay your emphasis only on direct and related causes and effects. Make use of anecdotes, facts, statistics, and your personal observations as supporting evidence. These will strengthen your points. Once you have talked about the different points, summarize everything in your concluding paragraph in an interesting and convincing way.